It doesn't seem too much to ask: that a really, really good time should be had by all. Ensure goodwill all around. 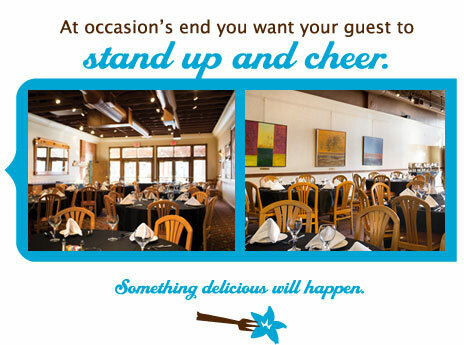 Bring your banquet, reception, business meeting and conference to Larkspur and enjoy our outdoor patio, private banquet & conference room and our exceptional food and service. Or, if you want, we'll bring it to you. We cater. After all, you know it's good, it's Larkspur.